Bankers may be interested to note that the craft beer industry is the fastest growing sector in the beer market. It caters to a sophisticated clientele willing to pay higher prices for a quality product. Similarly, there are many small whiskey distillers cropping up around the US, teeing off a revival of bourbon drinking in general and especially to meet demand for artisan made product made by micro-distillers. In fact, Bourbon sales rose over 10% in the last year and by more than 30% in the last 10Ys according to the Distilled Spirits Council. One interesting outgrowth of all of this growth is a shortage of wooden barrels. Charred oak barrels are necessary for aging whiskey and new cooperages have begun operations around Kentucky in order to meet the new demand. 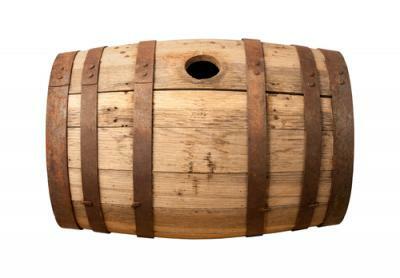 We can recall when being a barrel maker was a standing joke used to define an obsolete business. People who know how to make wooden barrels are not easily found now, and as a result, the price of wooden barrels is going through the roof. Like barrel makers, you may not have many on your bank's staff that have experience with an increasing interest rate cycle. It has been 9Ys since the Fed last began a cycle of increasing the target Fed Funds rate. Look around the ALCO table and ask yourself how many people on your team were at your bank during that last rising rate environment? If the number is low or if people just look tired, since it now appears the Fed may change course soon, it might be time to brush off some old skills. For those who will experience a rising rate cycle the first time, it's time to learn some new skills, especially regarding deposit pricing. It's been almost 6Ys that the Fed Funds rate has been flat. Depositors have been desensitized over this time, but they may not remain so unless your bank undertakes careful planning. Some traditional deposit pricing techniques that may turn out to be problematic include: using rate survey reports as the primary tool for setting deposit rates or pricing decisions that come in reaction to competitor actions, internal or customer complaints, or in reaction to liquidity events. Also problematic is whether the bank's typical response to funding, growth, and competitive issues is to raise deposit rates, run specials, match competitor rates, or to look to off-the-shelf third-party deposit products or software systems for a quick fix. When it comes to building stable and secure deposits, it is important for your bank to establish a defined methodology to price and position funding for rising and/or falling interest rates. Otherwise the bank's actions tend not only to be reactionary, but haphazard. As a result, finance and front line staff are frequently at odds with each other over pricing and product decisions. If it has been a long time since your bank's products were reviewed from top to bottom for consistency and appropriateness for your current business model and needs, then a review is in order before rates begin to move. Question whether your bank has considered how various deposit products will act when market interest rates start increasing. This knowledge will be key in preparing for a different rate environment than we have experienced in some years. Even when skills haven't been used in a while, there are always experts around. Kelvin Cooperage in Louisville KY was begun by brothers from Scotland and they specifically serve smaller distilleries with their handmade barrels. For them, the wood supply in KY is perfect, they make a quality product and as a result of this special expertise, they cannot keep up with demand. For bankers and deposits, make sure your deposit pricing strategies are equally based on traditional knowledge as well cutting edge techniques. Doing so will help propel your bank through the next interest rate cycle. Biometric payment cards are meant to boost security by embedding fingerprint sensors that match the cardholder's print to a digital image stored on the card. We have more details on this growing market. Treasury yields climbed 6bps as stronger-than-expected durable goods was the investor focus throughout the session. Yields are currently unchanged as the market waits for GDP to be announced. 1) First Bank & Trust ($740mm, TX) will acquire First National Bank of Colorado City ($42mm, TX) for an undisclosed sum. 2) OceanFirst Bank ($2.4B, NJ) will acquire Colonial American Bank ($144mm, NJ) for $11.3mm or about 1.16x tangible book. 3) Pan American Bank ($38mm, CA) will acquire Finance and Thrift Co ($122mm, CA) for stock. Both entities are Community Development Financial Institutions serving low to moderate income consumers and businesses. 4) First Security Bank ($694mm, MT) will acquire Teton Banks ($202mm, MT) for an undisclosed sum. First Bank ($518mm, VA) will acquire 6 branches from Bank of America. Banks should note a survey by the National Small Business Association finds business owners say primary responsibility for handling online security is handled by them directly (39%), someone on staff (33%), an outside company (21%), nobody (6%) or other (2%). Perhaps training is in order to help these customers protect themselves better and in turn help protect your bank. St. Louis Fed President Bullard said it is important to remove the "patient" language at the March FOMC meeting so it can raise rates soon. He said the Fed should raise rates to avoid getting too far behind the curve and be forced to do more aggressive or disruptive rate increases. The Wall Street Journal reports Cleveland Fed President Mester said she wants to see the word "patient" dropped from the March FOMC statement in order to give the group more flexibility to tighten. Meanwhile, Philadelphia Fed President Plosser said the Fed cannot wait for wages to rise significantly before raising rates and that he expects the Fed Funds rate to rise to 1.00% to 1.50% by the end of this year.